Iowa doesn’t have a ton of barber schools like some of the more populous states such as California or Illinois, but they are good-quality academies that offer excellent training towards getting your license and becoming a professional in the state. How Long Is Are Iowa Barber Programs & What Do You Learn? As mentioned, many states that have hour requirements have less stringent minimums. In Iowa you need 2,100 hours to complete your training. In NY there is no set number of hours, and in other states the length of time you must put in is only 600 hours! Taking a long course such as Iowa’s can be expensive as you can see from the table further down this page, so doing some sample courses for free and online can be a good idea to help you decide on your career. Even after you’ve successfully graduated from school you’ll still need to go through the process of getting your license. The first thing you need to do is pass the theory exam. It will touch on everything you’ve learned in school, so if your barber instructors were happy with your progress you should do fine. Topics will include: anatomy, client care, recognizing scalp conditions, tools and their maintenance, and so on. Once you’ve successfully completed the theory test you can apply for the practical. You’ll need to submit both high school and barber school transcripts and a fee. For the exam itself you’ll need a live model as well as your own tools & supplies and mannequin head. 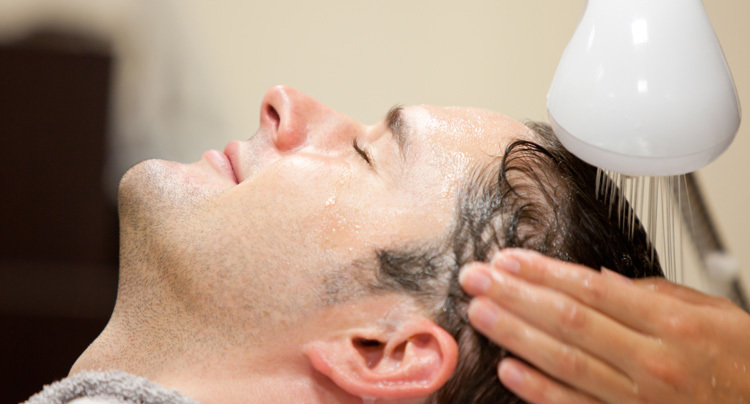 You’ll be tested on safety, straight razor use, cutting, relaxing and colouring hair and lots more! You’ll have to wait two weeks before you get exam results but once you do you’ll have your actual physical license in a matter days. What If You Already Have A License From Out-of-state? The process of getting an Iowa license if you are already a certified barber from another locale is called “endorsement“. You’ll need to prove your status in your home state and apply to the Iowa barbering board. You can even apply if you are from another country but there is no guarantee that you’ll be accepted. Renewing after your initial licensing is done every two years. The first renewal doesn’t require anything but application and the payment of a fee. After four years, however, you will need to take 8 hours of continuing education and continue doing the same every two years after that. There is a good demand for barbers in Iowa. Being new to the profession doesn’t mean it will be difficult to get started with your career. In fact, between placement help from your school and looking online and the possibility that you could open your own salon you should be able to a job quite quickly. Did we miss any barbering institutes in Iowa? Please contact us to let us know. Other Iowa schools for makeup artists, estheticians, cosmetologists and nail techs.